Wisdom teeth can become problematic when they are impacted, decayed or partially erupted, requiring surgical extraction. Diagram showing over-crowding of top jawline caused by erupting wisdom tooth. Note that the lower jawline has insufficient room for a wisdom tooth. A tooth becomes impacted due to lack of space in the dental arch and its eruption is therefore prevented by gum, bone, another tooth or all three. Lack of space occurs because our jaws have become smaller (through evolution), we do not loose teeth through decay as frequently as in the past, and our diet is such that our teeth do not wear down as much. What are the indications for Removing Wisdom Teeth? Decay– saliva, bacteria and food particles can collect around an impacted wisdom tooth causing it, or the tooth next to it, to decay. It is very difficult for the dentist to remove this decay and pain and infection will usually follow. Gum infection (pericoronitis) – when a wisdom tooth is partially erupted, food and bacteria collect under the gum causing a local infection. This may result in bad breath, pain, swelling and trismus (inability to open the mouth). The infection can spread to involve the cheek and neck. Once the initial episode occurs, each subsequent attack may become more frequent and severe. Pressure pain – pain may also come from the pressure of erupting wisdom teeth against other teeth. In some cases, this pressure may cause the erosion of the teeth immediately in front of the wisdom teeth. Orthodontic reasons– many younger patients have had prolonged orthodontic treatment to straighten teeth. Wisdom teeth may cause movement of teeth (particularly the front teeth) when they try to erupt and this will compromise the orthodontic result. Prosthetic reasons– patients who have had dentures constructed should have wisdom teeth removed. If a wisdom tooth erupts beneath a denture it may cause severe irritation, and if removed the patient may have to have another denture constructed to accommodate the changed shape of the gum. Cyst formation– a cyst (a fluid filled sack) can develop from the soft tissues which originally formed the wisdom tooth. 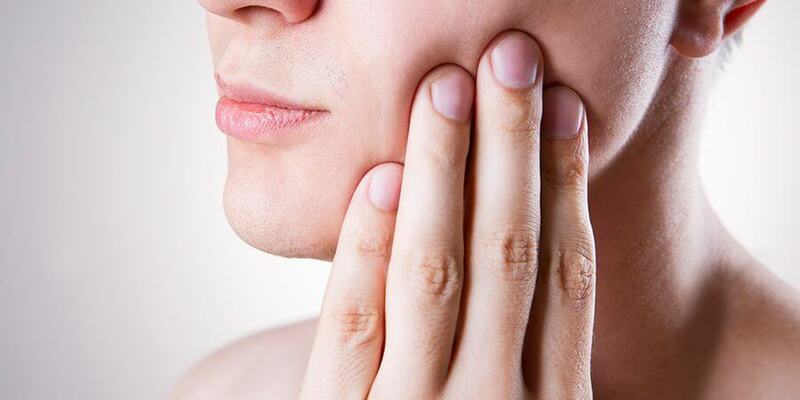 Cysts cause bone destruction, jaw expansion and displacement and damage to the adjacent teeth. The removal of the cyst and tooth is necessary to prevent further bone loss. In rare circumstances, tumours may develop within these cysts or the jaw may even fracture if the cyst or tumour grows very large. Should an impacted wisdom tooth be removed if it hasn’t caused any trouble? There is always a risk that impacted wisdom teeth may cause problems at any age. Such problems may occur suddenly and at inconvenient times. If the wisdom teeth appear to have a high probability of causing problems, your oral surgeon may advise you to have them removed. It is now recommended by specialists that if impacted wisdom teeth need to be removed, this is best done between the ages of 14 and 22 years. At this time surgery is technically easier, patients recover more quickly and the risk of complications is much lower. This is a relatively easy procedure in a patient at the age of 20, however it may become very difficult in a patient over 40 years of age. Should a wisdom tooth be removed when an acute infection is present? Generally, no. Surgery in the presence of infection can cause it to spread and become more serious. Firstly, the infection must be controlled with antibiotics, local oral hygiene and sometimes the extraction of the opposing wisdom tooth. What type of anaesthetic should I have? Wisdom teeth may be removed using local anaesthetic (LA) injections, LA injections and intravenous (IV) sedation or a general anaesthetic (GA). After discussing the advantages and disadvantages of each method with your oral surgeon, the choice depends on the number and difficulty of your wisdom teeth, any existing medical problems, and your own preference. 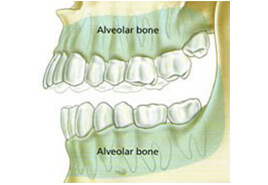 Wisdom teeth can be removed with comfort by using either IV sedation and LA or GA and LA. Both procedures can be performed at Canberra Surgicentre. Surgery is performed under sterile conditions, with all instruments sterilised using an autoclave. Both procedures IV and LA or GA and LA require the surgeon and assistant to wear a cap and mask together with a sterile gown and gloves. You will be required to wear a gown to ensure the protection of personal clothing. the gum is incised (cut) and retracted to expose the tooth and adjacent bone. bone is removed with a drill to expose the tooth roots. In some cases it may be necessary to divide the tooth with a drill to allow its removal. following removal of the tooth, the wound is thoroughly cleaned. the wound is closed (stitched) with sutures which are usually dissolving. What can I expect to happen after surgery? Due to the local anaesthetic parts of your face will be numb for the first 2 to 3 hours after surgery. During this time you must be careful not to bite your lower lip and tongue. Pain – bone is very sensitive to trauma and pain of moderate strength is a constant feature following removal of wisdom teeth. Strong analgesics will be prescribed and often need to be taken for at least three days after surgery. Swelling – this starts immediately after surgery and usually reaches its peak on the second day. It then reduces slowly over the following 3 to 4 days. Ice packs applied to the sides of the face for the first 8 hours (20 mins “on” and 20 mins “off”) help limit the swelling, reduce pain and decrease any residual bleeding. Bruising – this results from bleeding into the tissues. Some patients are more likely to bruise than others and it is not a serious problem. Jaw stiffness (trismus) – this occurs with swelling and will gradually diminish as the swelling resolves. This means that softer foods are more easily eaten during this period. After surgery you will be given an INSTRUCTION SHEET to help you care for yourself at home. You will normally receive a prescription for an analgesic (to reduce discomfort) and an antibiotic (to help prevent infection). What are the possible complications of having wisdom teeth removed? Post operative infection– bacteria are a normal part of every mouth and they can cause an infection after wisdom tooth surgery. Antibiotics are always prescribed and good oral hygiene will help prevent this. Despite this, surgery sites can become infected in a small number of patients. Swelling, pain and limited jaw opening lasting more than 7 days may signal the presence of an infection. Dry socket formation– a dry socket is post extraction syndrome in which the blood clot in the tooth socket is lost. The symptoms include severe unrelenting pain usually commencing on the second or third day after a tooth is removed. It is NOT an infection, and is easily treated. Cigarette smoking is one suspected cause. Jaw joint dysfunction – occasionally the ligaments of the jaw joint become stretched as a result of having the mouth opened widely during surgery. A patient may experience some discomfort in and around the jaw joints and this may be relieved by applying heat (with a hot pack or water bottle) over the joint for 15 to 20 minutes twice daily. For more effective relief of discomfort, a non steroidal anti-inflammatory drug (soluble aspirin or Nurofen) may be used. Symptoms should resolve within 7 to 10 days. Nerve damage– an impacted wisdom tooth in the lower jaw is often very close to two nerves – the inferior alveolar and lingual nerves. The inferior alveolar nerve provides sensation to the lower lip and chin, and the lingual nerve provides sensation to the front part of the tongue on each side. Due to the close proximity of lower wisdom teeth to these nerves, they are occasionally injured during the removal of lower wisdom teeth – despite every precaution being taken to protect them during surgery. Bleeding in the area may also compress these nerves. Injury to these nerves may cause some numbness or tingling in the lip, chin or tongue after the local anaesthetic wears off. This numbness may take some weeks or months to resolve, and in a small number of cases it may be permanent. Your oral surgeon should be able, with the aid of your x-ray, to give you an indication if nerve damage is likely. Sinus opening – because the sinuses in the upper jaw are closely associated with the upper wisdom teeth, there is a small chance that when a wisdom tooth is removed, an opening into the sinus may be created. If this occurs and does not heal spontaneously, a second procedure may be necessary to close it. Bleeding – it is normal for there to be some residual oozing of blood from the surgery site for some hours after removal of wisdom teeth. If bleeding persists, pressure with gauze packs over the surgery site for about 1 hour may stop it. If it does not, you should contact your oral surgeon for advice. The incidence of all complications after removal of wisdom teeth is in the order of 5% to 10%.